Millennials may not have much money to spend now, but they grew up during the economic boom of 1990s. Many have already visited popular international destinations like Paris and Rome. They want to travel to "off the beaten path" locations that stoke their curiosity, and are light on their budget. Taipei is increasingly appearing on many radars, along with other Asian cities Seoul, Macau and Manila, according to a survey by the online travel company Hipmunk. With its gleaming skyline and bustling night markets, Taipei has many of the attractions found in larger Asian cities, such as Tokyo and Hong Kong, but without the crowds and frantic pace. Taipei has a rich culture that combines Chinese, Japanese and Western influences. The city of 2.5 million is renowned for its cuisine, especially its street snacks. 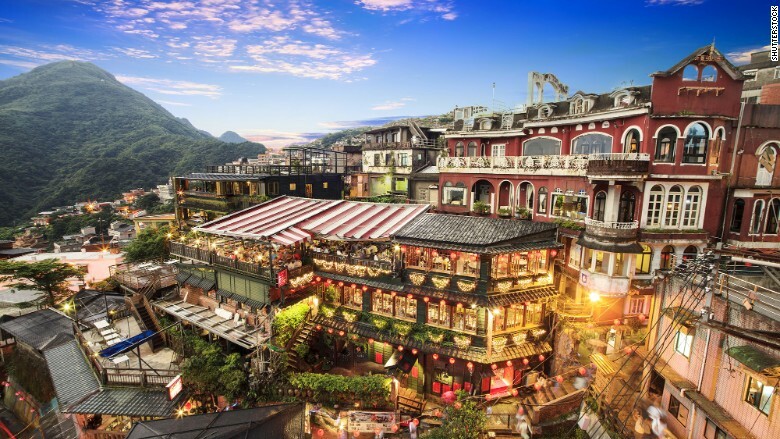 A popular day-trip is the former gold mining town of Jiufen, pictured here. It's just a short train ride from Taipei and is famous for its ocean views, as well as the winding lanes and tea houses.